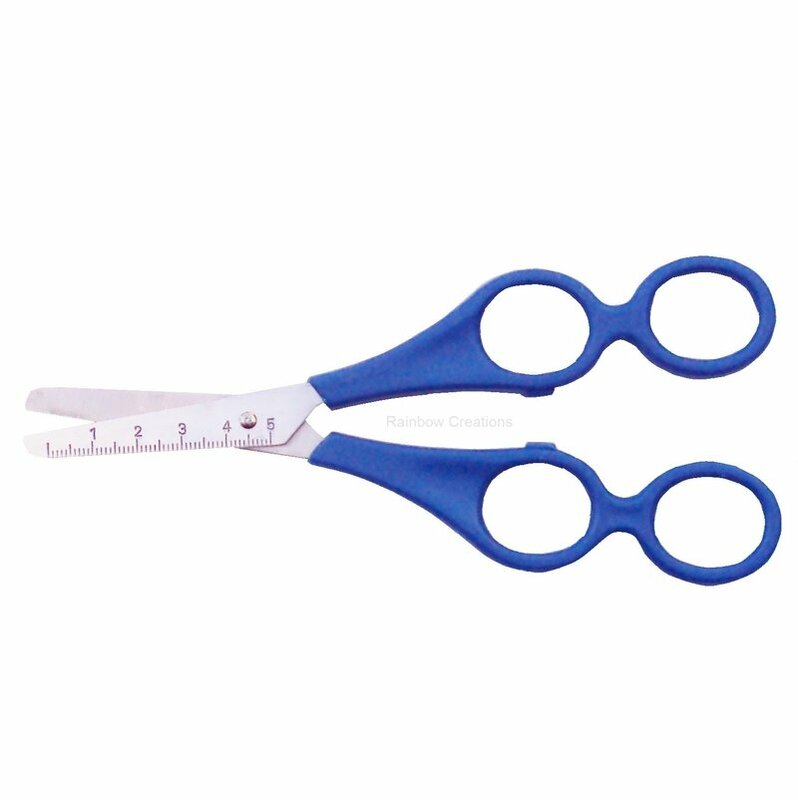 Children's left handed scissors or children's right handed scissors with a rounded blade. 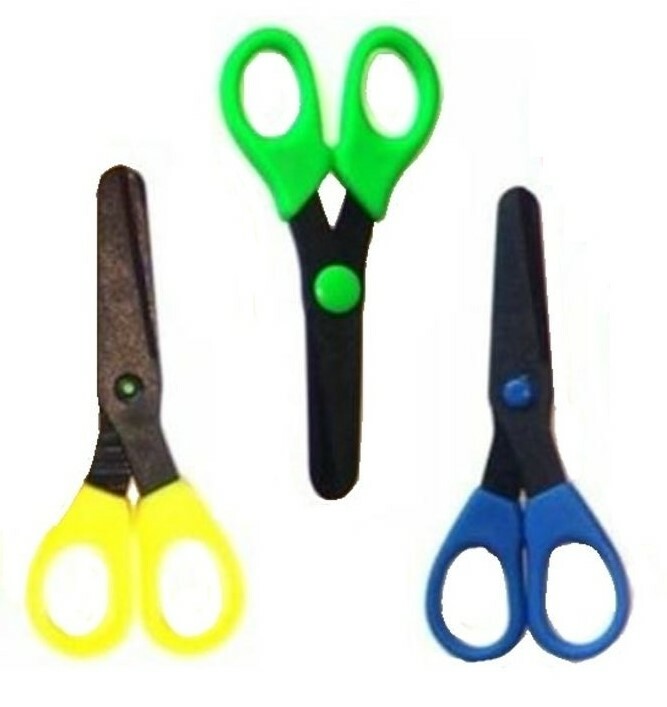 These scissors are high quality children's scissors which are suitable for school use, homework and cutting out in general. 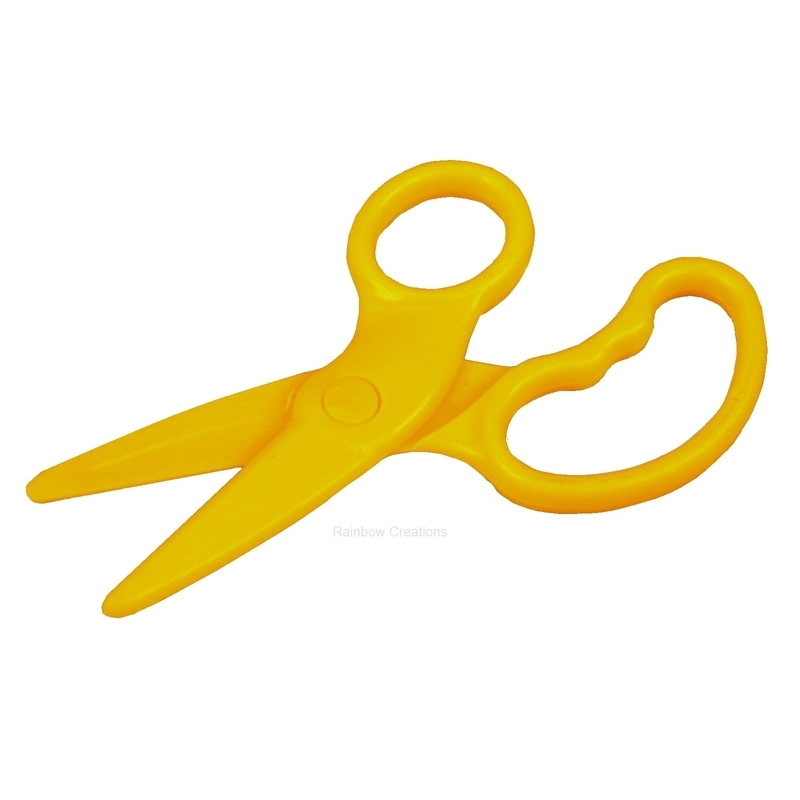 The left handed scissors are easily distinguished from the right handed scissors by their yellow and green handles.